A unique masterpiece exquisite in every detail! Nestled high on a bluff in an Oak studded canyon with captivating views of nature and wildlife. This exclusive, gated residence will provide a lifestyle that will endure for future generations. Award winning architect William Hezmalhalch has created a contemporary Mediterranean estate with stunning appointments and interior features. Wide plank, white oak floors, an expansive great room with beamed 16 ft ceilings and a double island kitchen with Quartzite counters and professional grade stainless steel appliances. 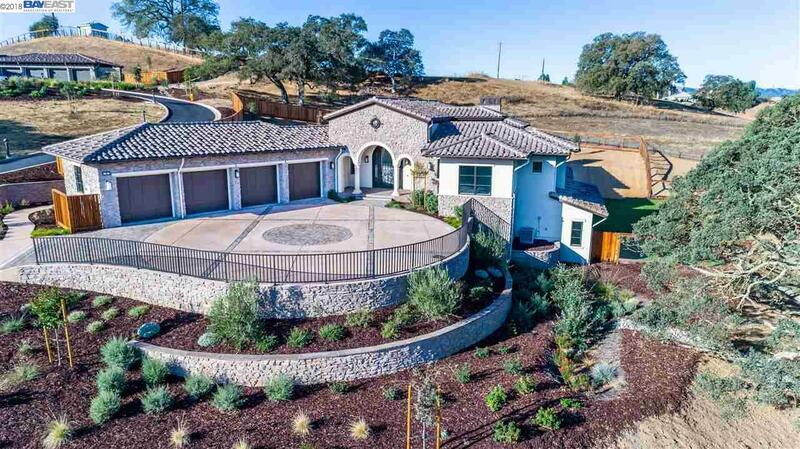 Conveniently located just minutes from top rated schools, downtown Pleasanton, Ruby Hill Golf & Country Club and dozens of award winning local area wineries...Silver Oaks Estates - Life Well Lived!